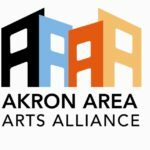 The Akron Area Arts Alliance (AAAA) was founded in 1991 by arts advocates Ann Amer Brennan and Mary Ann Jackson, who recognized that the area’s arts and cultural organizations were struggling with similar problems. They brought together 12 organizations to discuss and act upon common concerns. AAAA was incorporated and received its not-for-profit, 501(c)(3) status in 1998. Because of the organization’s growth and increasing services to its members and the community, AAAA hired a director and opened a downtown Akron office in September 1999. It opened Summit Artspace Gallery in September 2002. In 2010 AAAA was given a grant by The Knight Foundation to complete the second floor of Summit Artspace, which resulted in a conference center, office space available for rent and a small event/performance space. The organization continued to grow and celebrated its 20th anniversary in 2011 and was also given a proclamation by Summit County Executive the late Russ Pry and Summit County Council in recognition of AAAA’s commitment to advocating arts and culture in the community. In 2015, the Alliance undertook a comprehensive self-study with the support of the Akron Community Foundation to reassess its organizational structure and its future goals. It was determined that the organization’s future lay with developing Summit Artspace to become the premier community arts center. AAAA’s membership voted in April 2015 to end the membership-based structure and begin plans to establish a business model focusing on the growing operation of Summit Artspace. The Summit County Executive, Ilene Shapiro, provides generous in-kind support through the donation of the use of Summit Artspace. The County also provides maintenance services and a portion of the utility costs. 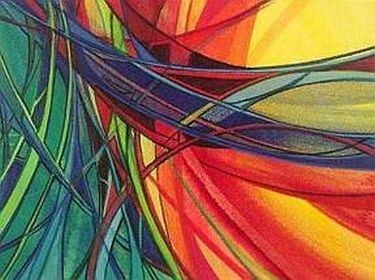 Summit Artspace receives support from the Greater Akron philanthropic community. See our list of partners.